Sanjana works as an aayaah (ward girl) in global hospitals. 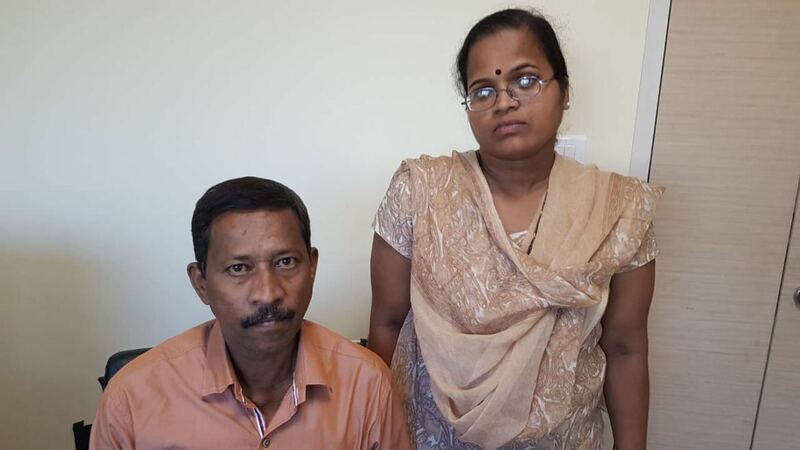 Her husband has been unable to work due to his health condition that did not allow him to exert himself much. Being the sole bread winner of her household, she works very hard to provide for her husband and 2 daughters. However, her husband’s recent diagnosis shattered her life completely. Recently Sanjana discovered that her husband has blockages in his heart. 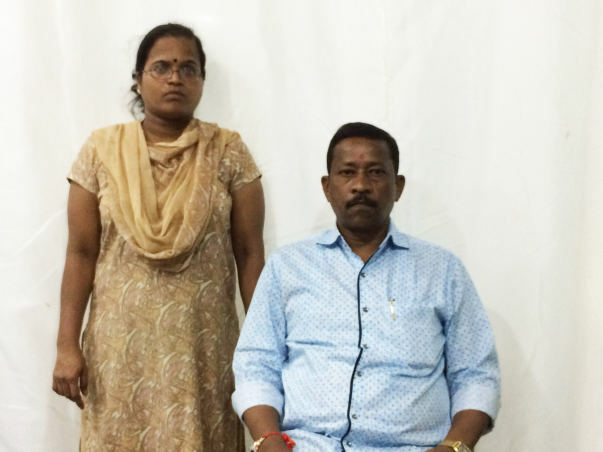 Sanjana’s husband Sudhakar recently complained of a stubborn pain in the leg. Upon consulting an orthopaedic doctor, an ECG was recommended. The result revealed some anomalies, and they had to go to the cardiologist. After a 2D test, an angiography finally revealed a heart blockage, which needs to be removed at the earliest to ensure he lives. The hospital staff came forward to help Sanjana as much as possible. An angiography costs Rs. 14,000. She had no money when it was prescribed but just agreed with only the belief that God would make a way. A member of the hospital’s tech team gave her Rs. 5000, and the doctors came forward to give another Rs. 5000. Her friend and her brother-in-law helped her with the remaining money and she was able to get it done on time. 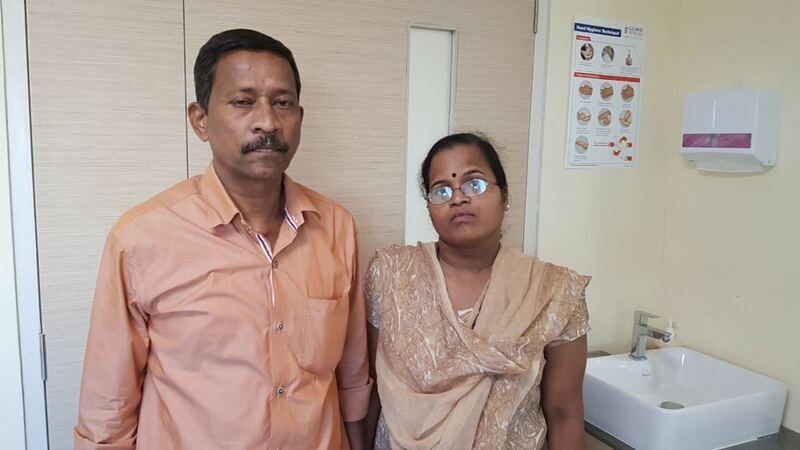 Since the pain started, Sanjana did not have the money for even a single test or scan, but due to her kind and diligent nature, many of the hospital staff came forth to help her with as much as they could. Sanjana has been bravely supporting Sudhakar with a smile. Sanjana is petrified. Her salary of Rs. 9000 has not allowed her to save anything, but her family is everything to her, and she would give anything to save them, but unfortunately, the amount required for this life-saving surgery is too big for her. 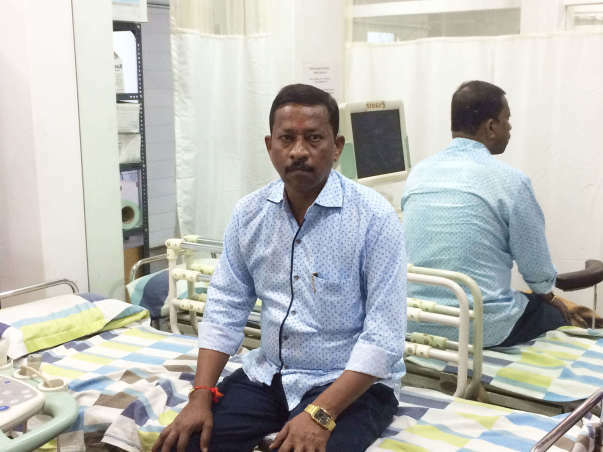 At first, Sudhakar did not want to undergo the operation, knowing his wife could not afford it, but Sanjana knew she could not just sit there and watch her husband die. She is staying strong and positive, believing all her efforts will not go in vain. 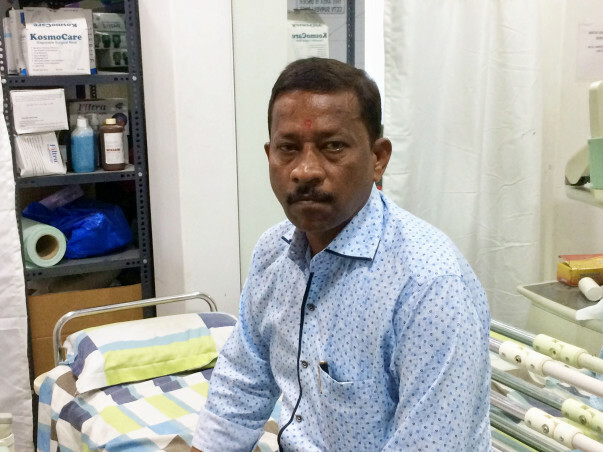 The doctors in the hospital helped Sanjana start a fundraiser for her husband’s surgery. Any contribution towards this fundraiser will go towards Sudhakar’s heart operation and will help Sanjana save her husband. 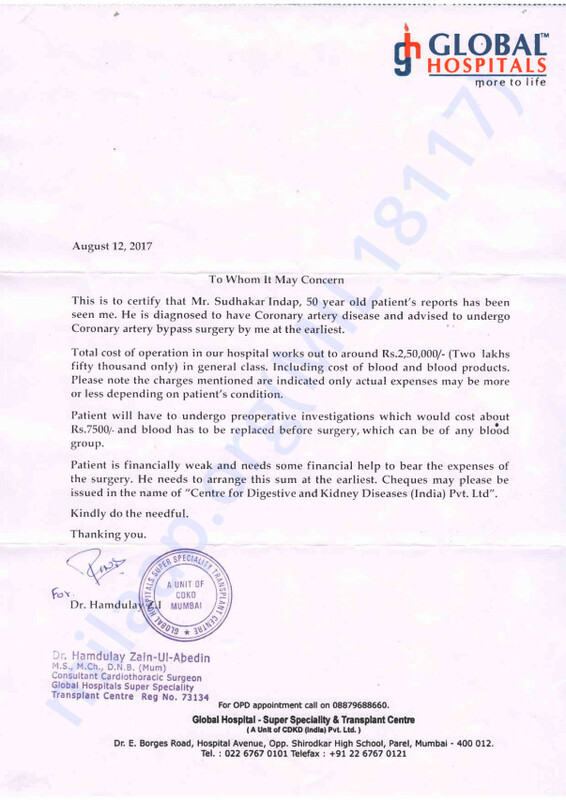 Here is an update on Sudhakar. 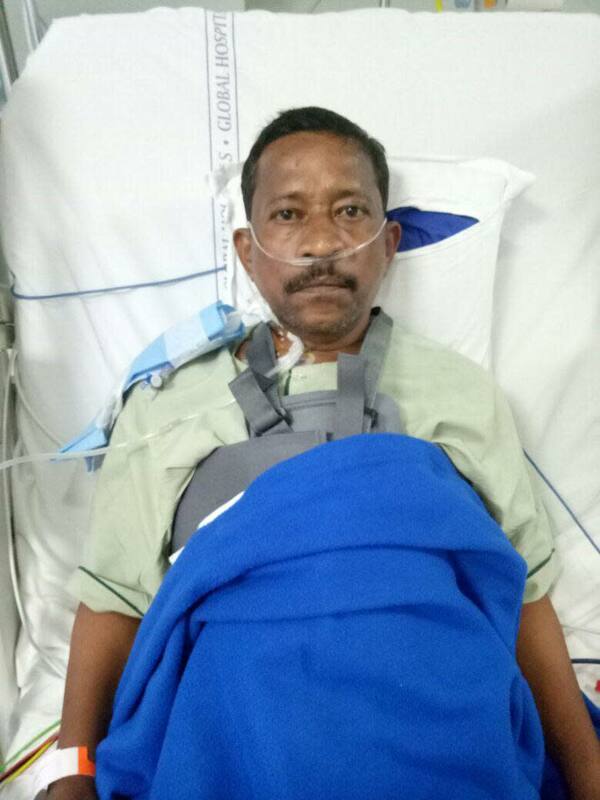 Sudhakar has been discharged on 30/09/2017 and is currently at home. 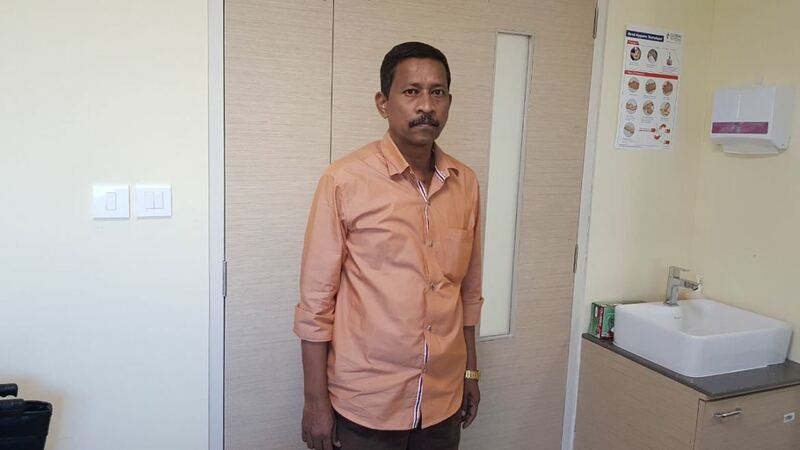 Below are the pics of Sudhakar when came for his first consultation post operation. 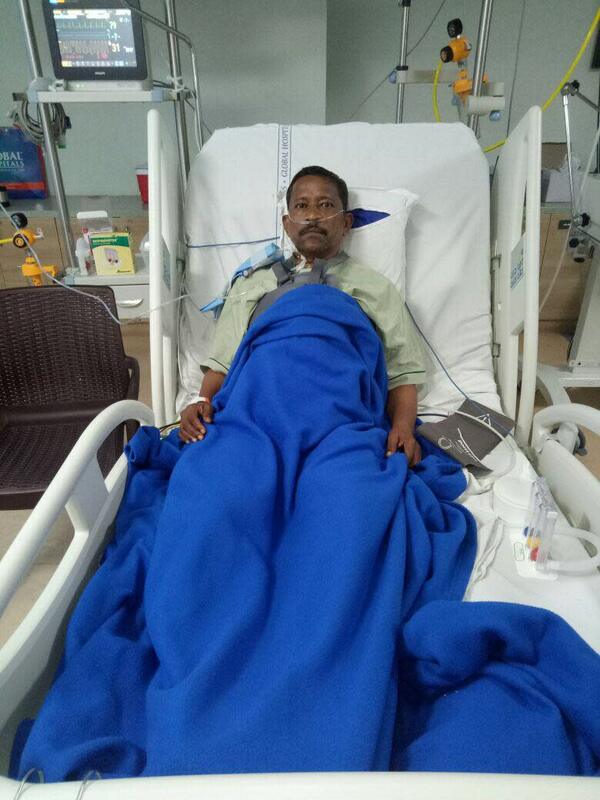 Sudhakar has been operated successfully, he is now in ICU & recovering. Once again thanks everyone for supporting him. Thank you every one for the kind support. 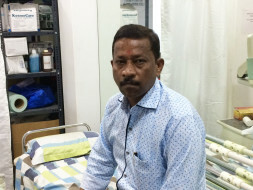 Sudhakar is on medication now because his diabetes needs to be in control before the operation. Currently he is advised to rest at home. He will be admitted on 24/9/17 and will be operated on 25/09/17.